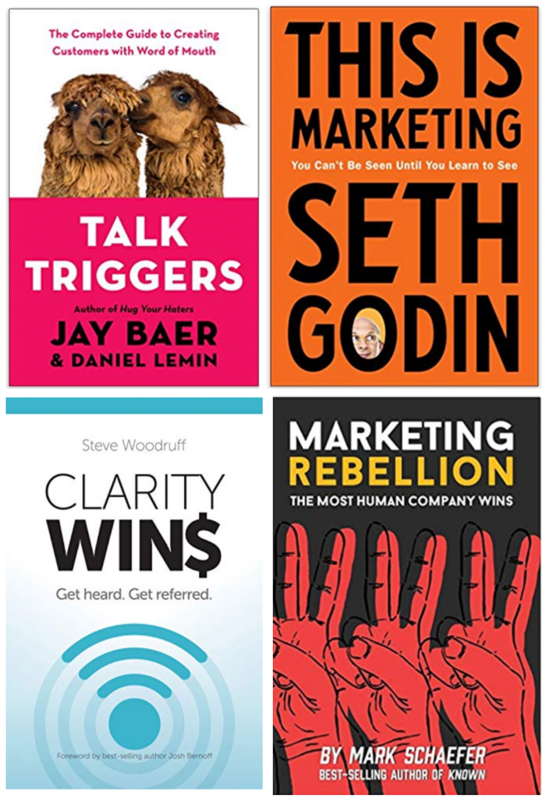 What do these four recently-launched books have in common? They are your key to marketing success in 2019. If you’re a business leader or marketer, pay close attention (you’ll thank me later). :: In a world filling up with noise, the way to get attention and move your message is – strategically and intentionally – via human-to-human transmission. There are different aspects of this new/old marketing approach emphasized in these books. Word-of-mouth. Referrals. Advocacy. Tribal affiliation. 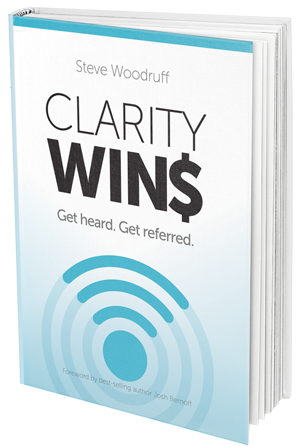 But, in fact, we’re all addressing the same problem – the tsunami of noise and plethora of other options – with the most proven, most effective way to promote your message. :: Differentiate in such a way that you delight people and equip/motivate them to talk about you to others. The meta-narrative for marketing success is not mastering the endlessly-moving target of algorithms. It’s harnessing the sharing-power of humans. I cringe when I see people and individuals trying to bullhorn an unremarkable message into a crowded marketplace, throwing untold thousands of dollars out the window in a vain attempt to win attention and create sales. There is a better way, and it’s the way that has always worked through the centuries. These four books can be your guide. Buy your copies here, here, here, and here. You will thank me (and Seth, and Jay, and Daniel, and Mark) later. Guaranteed!